Here is the tentative cover for Counterpoint, done by the multi-talented Alex Beecroft. (Yes, THAT Alex Beecroft!) There may be slight changes to the published cover, but for now…this is it. 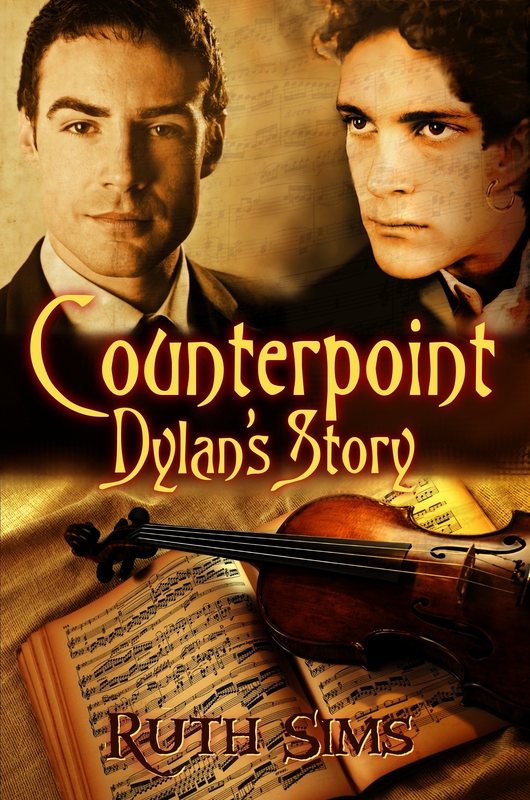 Music, love, loss, the courage to love again, a gypsy violinist, the passion to create–Counterpoint: Dylan’s Story. Watch for it. Contract was signed April 22, 2010! While we’re waiting, join me in my Happy Dance!!! Excerpts will be posted on my website from time to time and in the newsletter. Subscribe to the newsletter on the front page. Finally — news!! I am proud to announce that my short story “Legend of the Mountain Ash” will be in I DO TWO, being published by MLR Press February 14, 2010. No one concerned with the book — authors, editors, designers, publisher — is being paid. ALL PROCEEDS go to Lambda Legal for the continuing fight for marriage equality. “Legend of the Mountain Ash” is set in Appalachia, and tells the story of a love that will last for eternity. Well, obviously, the last entry was a little premature. I heard from a few people who wanted me to continue the blog so I did add a few more reviews. I’ll continue for a while longer. As of midnight October 31, 2009 no new reviews will be added due to lack of traffic. Perhaps at some point in the future the reviews blog will be resurrected. Meanwhile, if you haven’t read the ones already here, enjoy! I have enjoyed doing them, but have to make a choice between the reviews which are seldom read and my own writing. I have two short stories in upcoming anthologies, and Counterpoint coming out in the Spring, all of which will have to be officially edited. Please feel free to contact me at any time. 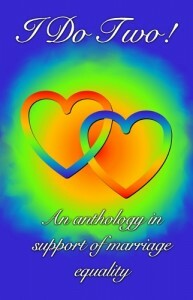 And visit my website at http://www.ruthsims.com and my LiveJournal at http://ruth-sims.livejournal.com/ (new friends welcome! )–and you can subscribe to my newsletter at my website. It isn’t put out often enough to be a nuisance. August 4, 2009 — Actual news! However, here are a couple of new interviews, one silly (with Rick Reed)and the other longer and for real, on the NEW GLBT section of The Romance Studio. http://rickrreedreality.blogspot.com/ – the one posted by the one and only Rick Reed, gay lit’s Stephen King! Through August 2009 the one at TRS will be found at :http://theromancestudio.com/rainbow/who3.php For a year after that, it will be at:http://theromancestudio.com/archives.php I hope some of you will read it and let me know your thoughts. 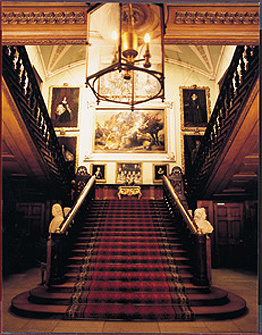 Both of my 2009 newsletters are archived on my website, www.ruthsims.com, on the links page, if you’re interested. Remember 10 years ago, when a lot of people thought the entire computer system and maybe the world would go ka-blooey because a new millenium was about to launch? And we’re still here. I think. Excerpts from my writings, especially Counterpoint: Dylan’s Story, will be put on my website from time to time. One of these days I’ll figure out how to do this right. This is the third try at posting the gorgeous new cover for the revised version of The Phoenix. The cover art is by Ben Baldwin. Once upon a time I wrote a piece of whimsy about an unconventional love with an even more unconventional twist. It amused me and I considered it a fun thing, a throwaway, and submitted it, not for publication, but to an online writers group. Then I forgot about it. A couple of years later, to my surprise, TWO publishers wanted it for anthologies, so my odd, amusing little story ended up in print in two different collections and made me a little money. Then an online zine wanted it last year, and it was available again. Now Lethe Press, the publisher of the new edition of The Phoenix (see below) has issued it as a free e-book on AllRomanceEbook. So go to http://allromanceebooks.com/product-tomoranimprobabletail-14965-180.html and download it in PDF or other formats. It won’t cost you a dime and might give you a smile. And who can’t use a free smile nowadays? NEW VERSION OF THE PHOENIX / NEW PUBLISHER! The original version of The Phoenix, which will be available until December 31, 2008, was self-published. In FEBRUARY 2009, it will be republished by a real publisher, Lethe Press. Lethe has already put it on Amazon with the new ISBN and it is available for pre-order. The cover has not been designed yet, so there is no cover image. The publisher, Steve Berman, is a fine writer and editor, in addition to publishing. One of Lethe’s books, Two Spirits, is one of my favorite books and I have a review of it on this blog. The biggest reason was so that I could fix the Americanisms that crept in because I did not have British beta readers for it. God love ’em, three of my British readers let me know about my boo-boos and have been kind enough to tell me what and where they were. For instance–my characters were riding railroads instead of railways, and having candy instead of sweets. 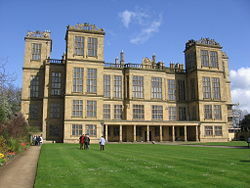 I described Cotswold stone as pinkish, but it’s more yellowish. Little things like that which other Yankees wouldn’t notice. So I can say with complete honesty: the story stayed the same; only the words changed. The images at the beginning were supposed to be here, at the end. But I’m not smart enough to figure out how to do it! They were some of the images I used as inspiration for Kit’s home at St. Denys Hill, and Nick’s bucolic childhood home in the Cotswolds.